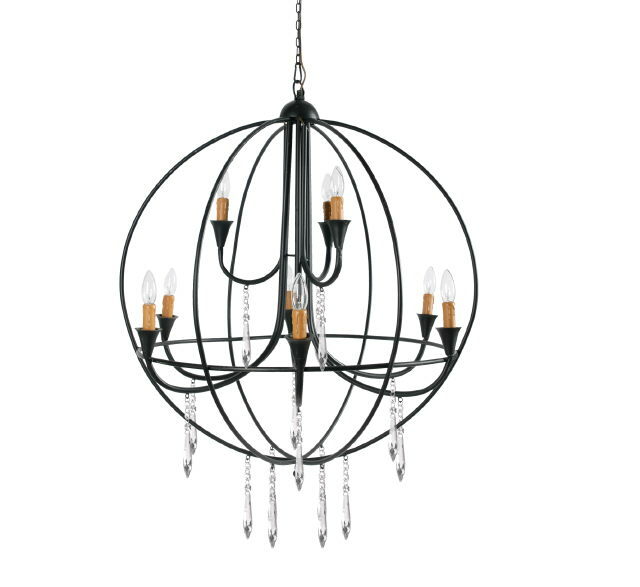 This Round Black Chandelier has 9 lights. Has the option to attach crystals, which come separately at no charge. * Please call us with any questions about our chandelier black round 9 lt rentals in Columbia and Jefferson City MO.